Other new features in Squirrly SEO are Sitemap XML and Robots.txt. Squirrly informs Search Engines about all of your articles, posts, custom posts, tags, and it also sends information about the images and videos from each article, in order to be indexed in the image and video sections of the Search Engines. Your articles will be pushed to Google and Bing only when they become public, rather than on every update, in order to prevent getting banned. Squirrly does not physically create the sitemap.xml file, or the robots.txt file. This is the best choice if you use the WordPress Multisite option. 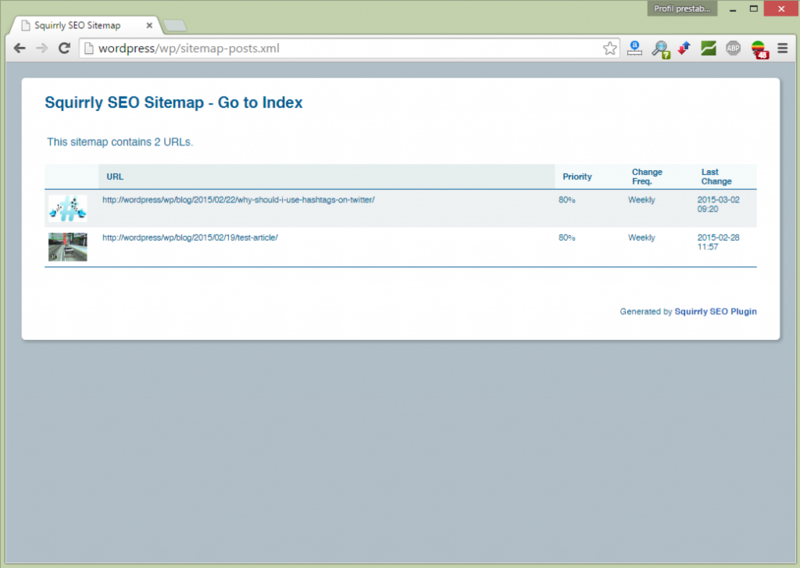 Are video sitemaps broken in your plugin? I can’t get them to work, neither with Youtiube videos nor with Vimeo ones. Squirrly detects the embed videos and adds them as a reference in the sitemap. If you detected an issue with this, please send us an email to [email protected] with the post URL and we will check it. The video section is a good addition. The fact I like about your sitemap is that it can be configured properly from the backend and having google news section is very nice effort too. The sitemap has picked up areas of my site which are not visible publicly and I’d like to remove them from the site map. How do I disable certain sitemaps? Squirrly only takes the public post types and taxonomies. It excludes the password protected pages and post types that are not visible. Calin, thanks for answering my question about my sitemap.xml not being updated since 2015. But now the question is, if I delete my old physical sitemap.xml file from my site root…what do I Add/Submit to Google Search Console? After deleting my old physical sitemap.xml file, I noticed that No new xml file has yet been generated by squitllly..even after turning OFF & ON the button for “adds the XML Sitemap”. 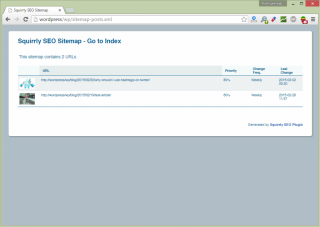 Squirrly only generates the sitemap.xml if you switch the option on.